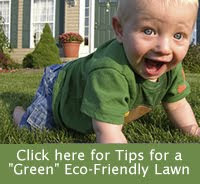 Metro DC Lawn and Garden Blog: Trade in Your Mower - Mow Greener! Trade in Your Mower - Mow Greener! Want to be a little more environmentally friendly when you mow? Trade in your gas mower for a battery powered one! When: Saturday and Sunday, October 9 and 10, 11am to 3pm only. How: You must drop off a gas mower. You’ll receive a voucher for a new Neuton Battery-Powered Mower. Hurry, only 300 vouchers are available! Call the toll-free number on the voucher by October 31st to place your order. Your mower will be delivered to your door! Details: No registration required. Proof of Maryland residency is required to participate (valid driver’s license or utility bill). Mowers must be drained of gas and oil before drop-off. Your gas mower will be scrapped and cannot be returned to you. Vouchers will be available for the first 300 participants only. Questions: Please call the Maryland Department of the Environment at 410-537-4210.